The Consumer Product Safety Commission announced a recall last week of Elmira Hydraulic residential hydraulic elevators last week after these products were sold with a significant defect – the elevator can actually operate while the gate door is open, posing a crushing hazard. 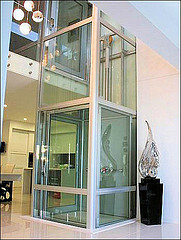 These elevators have been installed in many homes with multiple floors. The distributor, Coastal Carolina Elevators, received three reports of incidents with the elevators, including a catastrophic brain injury to a 10-year-old boy from Baltimore, Maryland, according to reports. Dangerous products manufactured and sold for use in home environments where young children are expected to be living and playing account for numerous deaths and injuries every year. Our Citrus County Injury Lawyers at Whittel & Melton urge parents and caregivers to always be on the lookout for dangers in the home. It is very important to carefully inspect the operation of home appliances and products. Never assume that just because a product is made or sold in the United States that it is automatically safe. As this case demonstrates, the required safety standards are not always followed by manufacturers. If you or a member of your family has questions about a dangerous or defective product, or if someone you love has been injured in an accident due to another person or company’s negligence, we are here to help you understand your rights and answer any questions you might have. Call us today at 352-726-0078 or contact us online to request a free consultation.